We’re debating over our costumes, making last-minute changes, just like your kids will. We’re practicing our cackles and our pumpkin carving skills. We’re counting out crisp dollar bills to pay out to kids in exchange for their extra Halloween candy, and preparing boxes to ship that candy to our troops overseas. Are you coming by? 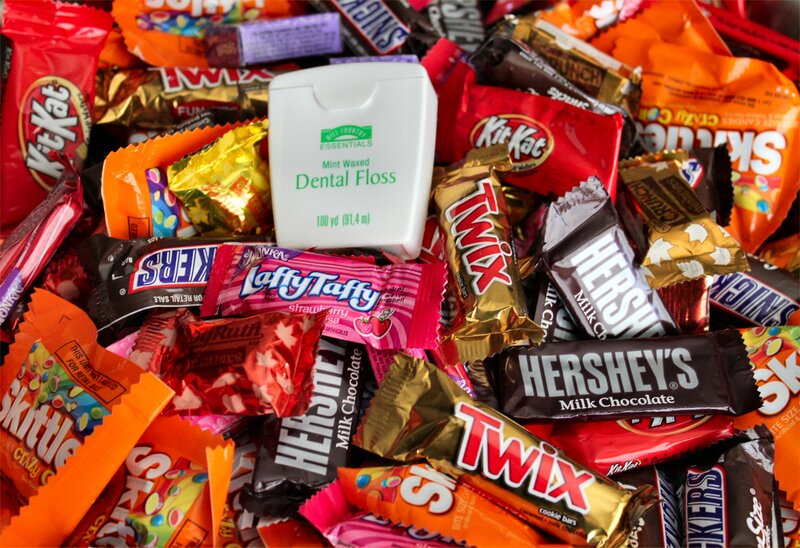 We’d love to see you and your family at our Halloween candy buy back on November 1st from 3:00 pm – 7:00 pm in our office. We’re live on the web! Well, if you’re reading this, you already know we were online in one way or another. You can learn more about us here on our blog, as well as on our Facebook page, but now our website is up, and you can find us one more way. So, please, visit us at http://www.saltlakedentaloffice.com/ and let us know what you think! Are you obsessed with Pinterest? Whether you use the app or the main site, we’ve seen some people get pretty crazy pinning all the projects they want to do, the products they can’t wait to buy and so on. We wanted to join in on the frenzy! You can view our Pinterest page, and let us know your username, so we can follow your pins as well. We’ve just added a Halloween board with great healthy ideas for treats. We’d love to see pins of your decorations and costume ideas as we get closer to the spooky holiday! While you may know October as any number of things, it’s also National Dental Hygiene month. You can learn more here or feel free to come in for your cleaning and checkup and talk to our dentists or our hygienist Stacy about your dental hygiene, and ask what tips they have to help you keep your mouth healthy and clean!